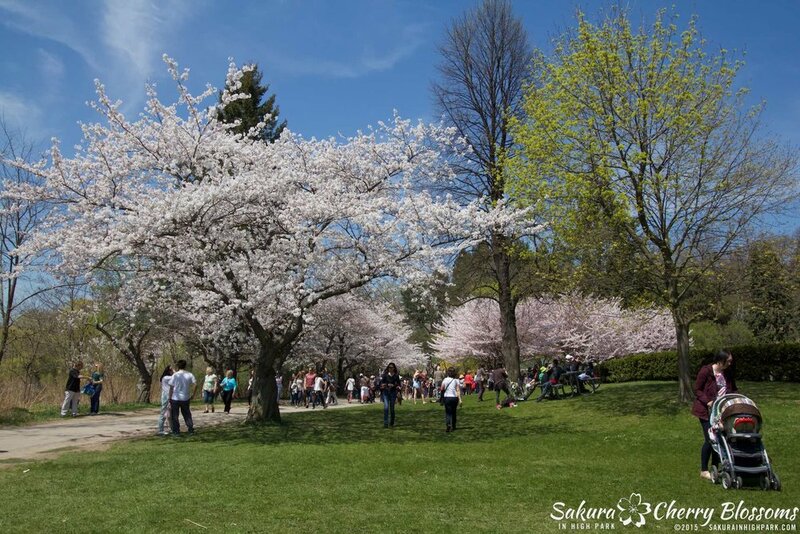 Sakura Watch, May 7, 2015 - blossoms are in peak bloom throughout the park as visitors are greeted with trees full of beautiful white cherry blossoms! Crowds have already been making their way to High Park as I saw first-hand today and you can expect the weekend will be jam-packed throughout the park. Best blossom viewing is going to be near the sports fields, Hillside Garden and winding path, and around Grenadier Pond. A few trees in this area have not developed as much as we would hope, but there is plenty of beautiful blossoms to see throughout these areas. The hill and winding path area are always the most crowded but also the most impressive to see - be patient and respectful of others as everyone wants their chance to take photos and enjoy the day. Trees near the High Park Zoo and Adventure Playground are less than full today and will show some improvement later this weekend. Nearly half the blossoms that would usually bloom have not opened this year in this area. 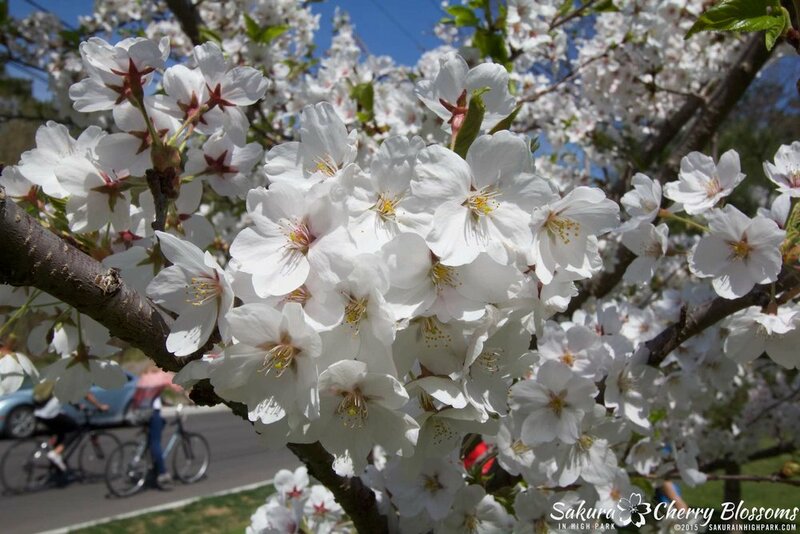 However, it will be a less crowded area, and there are still some great spots to enjoy the blossoms. Have a look at the extensive gallery uploaded today highlighting many of the good, and not so good, areas of the park to view. Leave the car at home - if at all possible, please consider walking, biking or even taking the TTC to High Park subway station (closest to the park). Parking is limited and always fills up quickly, but if you do need to drive in, your alternatives will be to try and find parking on the local streets around the park or the P Pay parking lots at the south end of the park just off of Lakeshore Blvd. Pack light and be prepared - Toronto is expecting hot, sunny summer temperatures the next few days, so it's a good idea to have plenty of sunscreen and appropriate clothing. Note there are no bathroom facilities yet open in the park and instead are a collection of portable toilets located in their place. Take what you bring and leave it how you found it - sakura hanami is all about enjoying a nice picnic under the blossoms, and the only thing to ruin such a beautiful sight are piles of garbage around the trees. Please try to bring containers or food that you can take back home with you and help keep the park clean for everyone! Hope everyone enjoys the fantastic weather and their sakura hanami!